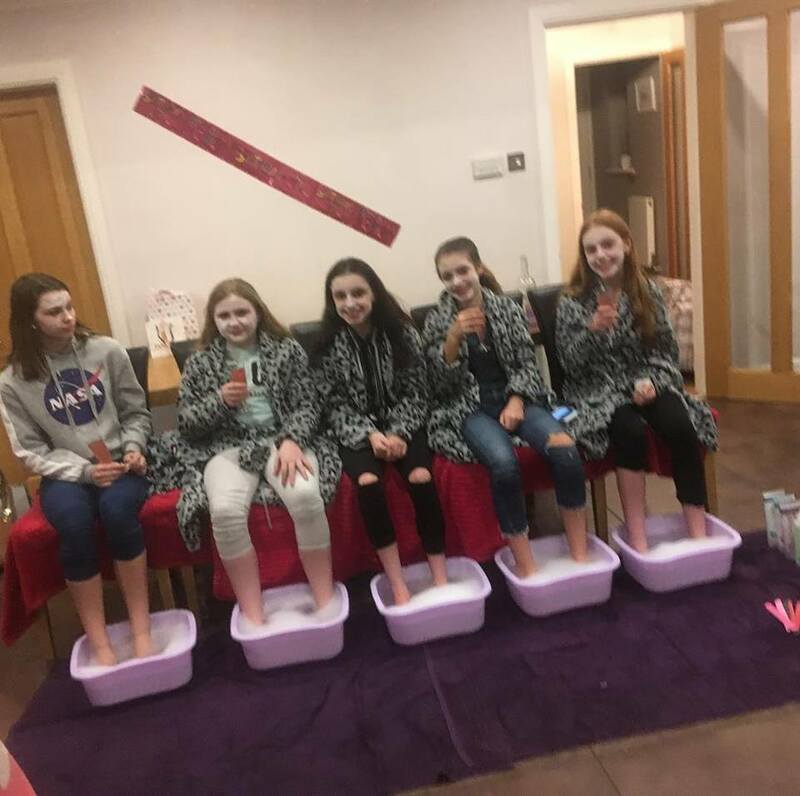 Our pamper team recently travelled to Dartford to pamper a lovely group of ladies for a Pedicure and Facial pamper party. The girls where treated to foot scrubs, foot massages and a file and paint on toes as well as mini manicure with a facial and scalp massage . All whilst getting nice and cosy in their spa robes and enjoying there non alcoholic champagne. Pedicure spa bowls are a great way to sit and relax and waiting for whilst they are waiting for their facials .For the finishing touches, pretty toe nails are a must. We have a huge selection of polishes to suit every taste from glitters and soft nudes to bright reds. Get all cosy in our spa blankets, towels and dressing gowns and enjoy a relaxing facial. We offer luxury spa pamper parties across the Kent and beyond! This entry was posted in Product Reviews and tagged Girls Pamper Parties in Bexleyheath, girls spa parties in gravesend, pamper parties in Dartford, pamper parties in eltham, pamper parties in erith, pamper parties in kent, pamper parties in sidcup, pamper parties in swanley, spa parties for girls in swanley, spa parties in dartford kent, Spa Parties In Kent. Bookmark the permalink.